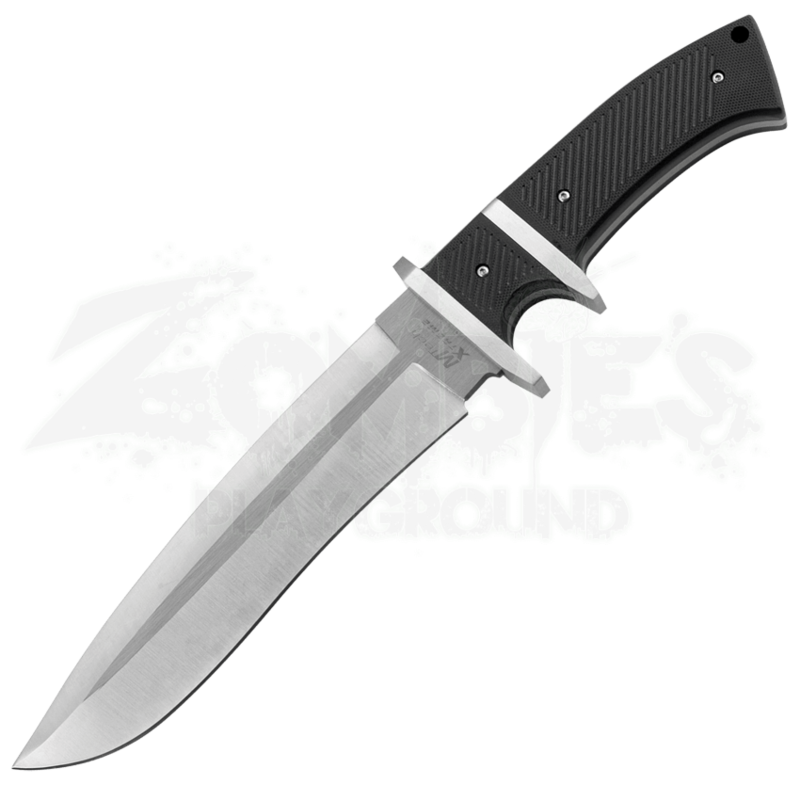 For fantastic comfort during close quarter combat look no further than the Silver Drop Point Knife. Though it can do all of the cutting, slicing, and piercing you expect it can do, the curved handle and blade of the Silver Drop Point Knife makes it exceptional for a variety of grips in conflict and combat. With its full tang stainless steel blade, it can hold up under grueling combat scenarios, and the G10 notched handle ensures a sturdy grip. 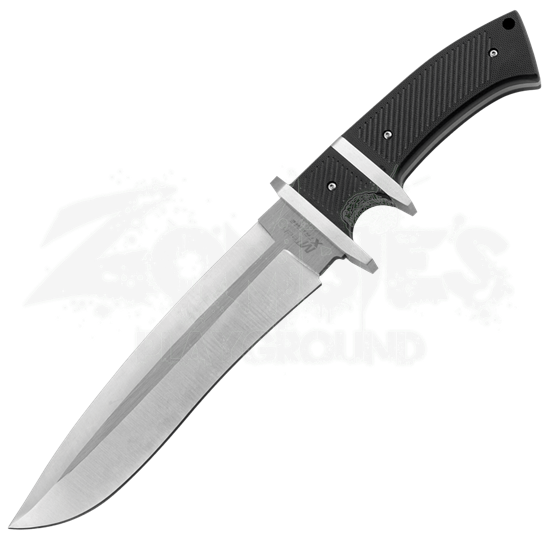 This knife also includes a MOLLE sheath for customizing this knife to your load out. Pick up the Silver Drop Point Knife today be it standard or reverse grip you will not be disappointed.